May 27 1924 - Adrienne Bolland wins the women's record for looping from Laura Bromwell, performing the feat 212 times in 1 h, 1 min in her Caudron 127 in Paris. May 28 1997 - March 17 - May 28 - Linda Finch, pilot, aviation historian, and San Antonio, Texas businesswoman, flying a restored and specially equipped 62-year-old Lockheed Electra 10E, recreates the 1937 Amelia Earhart flight to circumnavigate the globe solo. Her attempt was successful, taking 73 days. She touched down in Oakland, California. May 30 2003 - The final flight of an Air France Concorde takes place. May 30 1912 - Wilbur Wright dies of typhoid fever at the early age of 45. His death marks the end of his extraordinary partnership with his brother Orville, which culminated in 1903 with the first true powered flight in history. May 31 1928 - (May 31 and June 9) The first airplane flight across the Pacific is made by British Capt. Charles Kingsford-Smith and crew in a Fokker F-VIIB/3 m Southern Cross. They fly from Oakland Field, California to Brisbane, Australia, 7,389 miles (11,890 km), in 83 hours, 38 min. On the way, it becomes the first airplane to land in Fiji. June 1 1925 - A car dealer covers himself in stamps worth $718 in a bid to be sent airmail from San Francisco to New York; the U. S. Post Office refuses to accept him. June 2 1986 - The greatest distance achieved by a hang-glider is made by American Randy Haney who flies an unpowered hang-glider 199.75 miles (321.47 km) from his takeoff point. India, Assam: An Indian Air Force Sukhoi-30 jet crashed in Assam. Preliminary reports said that the aircraft had developed some technical snag. The aircraft was destroyed but the pilots eject safely. UAE, Sharjah: A senior Air India pilot has been suspended after he allegedly showed up "reeking of liquor" before a flight from Sharjah, UAE to Delhi, India. This is the third time that this particular pilot has failed a Breathalyzer test before one of his scheduled flights. Lithuania, Klaipeda: The wreckage of a AN2 aircraft that disappeared en route from Sweden to Lithuania has been found at the bottom of the Baltic Sea, authorities have said. A Lithuanian military ship detected the aircraft at a depth of 124 metres (407 feet) and 116 kilometres (63 nautical miles) from shore. The two pilots are still missing. Equatorial Guinea, Douala: An Air France jet with some three dozen people on board narrowly avoided hitting the highest mountain in central Africa in early May. The Boeing 777 jet was making a short trip from Malabo, the capital of Equatorial Guinea, to Cameroon's largest city of Douala. While cruising at about 9,000 feet, the pilots of Flight 953 diverted northwards to avoid storm clouds, but their route back towards Douala took the passenger jet towards the 13,000-foot Mount Cameroun. One of South African aviation's loved aircraft, ZS-NTE departed on the first leg of it's ferry flight, Tuesday 26 May 2015. It departed from Rand Airport to Polokwane, where it cleared customs. This prestine refurbished DC-3 has been one of the show stoppers at South Africa airshows, on her own, or when joining in on the radial formations. Citizens in some parts of JHB got spoilt to the roar of this beauty, mostly the last Saturday of the month when she took passengers over JHB on a 20 minute scenic flight. The legacy of Captain Flippie Vermeulen, CEO, Springbok Classic Air will continue in Europe as his DC-3 will be leaving SA shores soon. He has sold ZS-NTE to Mr Peter Adrian. He is a German businessman based in Trier. In addition to Mr. Adrian's professional activities, he is a keen aviation enthusiast specializing in vintage aircraft preservation and is an owner of, amongst others, a T28 and Beech 18. After a lengthy search for a DC-3, Peter expressed his delight in finding (as he expressed) "this beautiful example of a well kept classic". 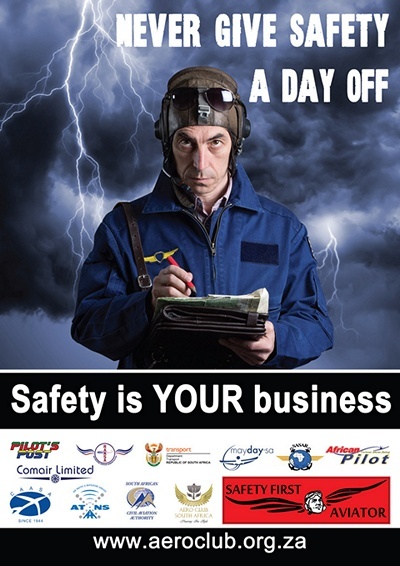 Last week saw the crew undergoing strenuous ground school and flight training with Captain Vermeulen. Peter joined for the training but will not participate on the whole flight. The crew joining Flippie in this 12 day delivery flight, are Captain Ulrich SPIELMANN and Captain Noel FLYNN who both serve as TRE's for Cargolux Airlines based in Luxembourg. The ferry flight will be done over 12 days. 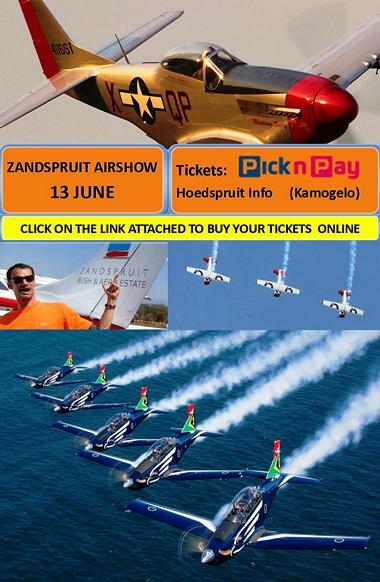 After transiting Africa the aircraft will find its home at one of two bases being Zweibr�cken EDRZ and Luxembourg ELLX. As Peter's company owns Zweibr�cken Airport, hangarage and considerable care planning is already in place. After a period of pilot familiarization and consolidation the DC-3 will enter services which are planned to mirror the footprint of what NTE was doing out of Rand. The crew during the ferry is Captains Flippie Vermeulen, Noel Flynn and Ulrich Spielmann. The new owner Peter Adrian will join the flight later along the way. Tecnam announced that it is actively evaluating the potential of developing and producing a two-seater, single turbofan engine powered aircraft. As always Tecnam's innovative developments are driven by customer demand. 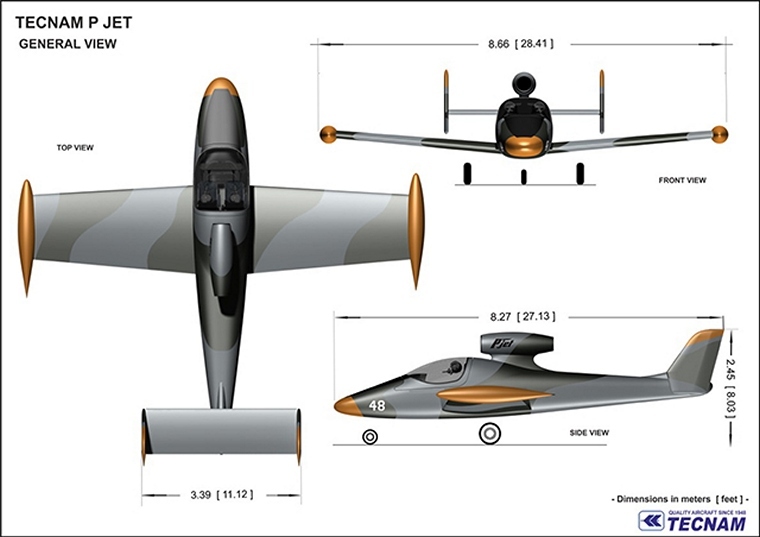 Extensive interest has been shown for the introduction of a two seat (side by side), turbofan engine powered aircraft, to be used by military Flight Training Organisations, but also to offer a significantly faster and more efficient aircraft for both the private and business aviation sectors. The 'P JET' will undoubtedly be a game-changer not only in the world of General Aviation but also as a first level entry military training jet powered aircraft. Tecnam's initial research suggests that manufacturing this visionary aircraft is both technically and economically achievable. The remarkable progress in the development and reliability of thermic and mechanical efficiency now available in high bypass, two-spool turbofan engines, along with major advances in materials ensures that production of the 'P JET' is a feasible proposition. The anticipated 'P JET' aircraft configuration would see the engine 'podded' thus ensuring the maximum efficiency to achieve the full ram-air intake effect, as this would not interfere with the primary aircraft structure and would also enable easier access for maintenance inspections, complete engine disassembling and other servicing requirements as well as enhanced safety protection such as fire. Tecnam anticipates that the 'P JET' cabin will be available both pressurized and non-pressurized, for use with an airframe integrated oxygen system. Embraer Executive Jets announced that the Legacy 500, its new midsize business jet that just entered the market, has already set four new world speed records for its class, this year. "These speed records validate the Legacy 500's game-changing performance. Having achieved or exceeded each of its design goals for certification, this revolutionary aircraft is now demonstrating all of its operational capabilities, including oceanic missions," said Marco T�lio Pellegrini, President & CEO, Embraer Executive Jets. "The Legacy 500 is indeed the best-in-class midsize jet, which delivers an impressive combination of comfort, advanced technology, speed and range; all at a low operating cost." The first two records were set for "Speed over a Recognized Course" on a round-trip flight from Oakland, California to Lihue, Hawaii, with six passengers on board, covering 2,135 nm (3,954 km). The flight from Oakland to Lihue, on March 7, was completed in 5 hours and 49 minutes, achieving an average ground speed of 420 mph (676 km/h). The return flight took only 4 hours and 11 minutes, at an average ground speed of 586 mph (943km/h). The third speed record set by the Legacy 500 was in route to Friedrichshafen, Germany, from Bangor, Maine, United States. The 3,210 nm (5,945 km) flight was completed in 6 hours and 50 minutes, with three occupants on-board. The fourth speed record was set from D�sseldorf, Germany to Dubai, United Arab Emirates, spanning a distance of 3,268 nm (6,052 km), the longest Legacy 500 flight to date. The flight duration was 7 hours and 3 minutes. With 1,900 lb of fuel reserves after landing, the average hourly fuel consumption was only 1,590 lb. 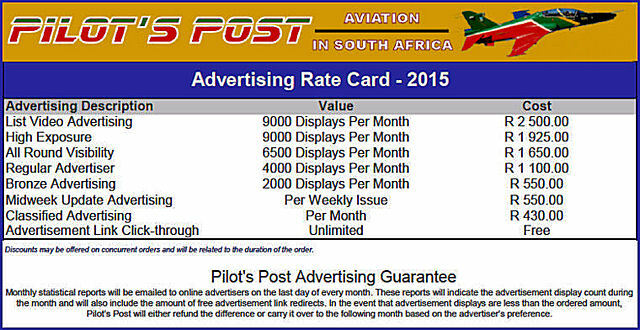 Once the National Aeronautic Association (NAA) has confirmed each flight as a U.S. record, the figures will be sent to the Federation Aeronautique Internationale in Switzerland for recognition as world records. In all four speed record flights, the Legacy 500 completed the mission with NBAA IFR fuel reserves. 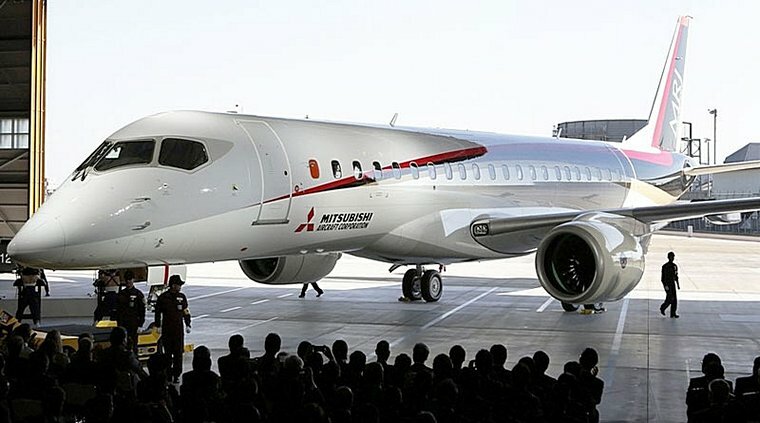 Today Mitsubishi Heavy Industries, Ltd. (MHI) and Mitsubishi Aircraft Corporation jointly released their latest status report concerning progress in developing the MRJ (Mitsubishi Regional Jet), their next-generation regional jet. Simultaneously they also reported on the current state of preparations for expanding production bases towards inauguration of the new aircraft's manufacture. Details are outlined below. Going forward, progress will be periodically disclosed. Effective April 1 MHI and Mitsubishi Aircraft launched a new management structure to facilitate transition of the MRJ project from the development stage to the manufacturing phase, and under the new framework initiatives are moving forward towards more unified operations. Prior to inauguration of the new structure, in January Mitsubishi Aircraft relocated its complete Head Office functions to the Nagoya Airport Terminal Building (Toyoyama-cho, Aichi Prefecture) next to where the MRJ's final assembly, ground testing and flight test are performed. Relocation to this site has resulted in a highly efficient business operating structure. The first ever PC-24 Super Versatile Jet took off on its maiden flight today at 10.00 local time from Buochs airport. Just under 1800 Pilatus staff, all of whom are directly or indirectly involved in the PC-24 project, were there to applaud the business jet as it taxied for take-off. Prototype P01, call sign HB-VXA, flew across central Switzerland for a total of 55 minutes. The flight went exactly as planned with no problems whatsoever. The PC-24 is capable of exceptional performance, and this maiden flight was a first opportunity to showcase some impressive credentials: the twin-engine business jet took off from runway 07 in just under 600 m and climbed to 10,000 feet (approx. 3000 m) in around three minutes, where the two pilots completed a series of meticulously planned tests. The maiden flight followed a route across central Switzerland - from Altdorf to Br�nig via Engelberg. Test pilot Paul Mulcahy, who has some 11,000 hours under his belt, flew the PC-24 as pilot in command. He has already test flown countless aircraft types and has acquired a wealth of experience on twin-engine business jets. "Everything looks great so far! Beautiful handling - the PC-24 flies just as expected - a real Pilatus aircraft!" Reported our second experienced test pilot, Reto Aeschlimann, by radio from the cockpit. Throughout the flight the PC-24 was accompanied and monitored by a PC-21. As is normal on maiden flights, the PC-24 landing gear was not retracted on this occasion. Twelve flight test engineers watched the flight from the ground as they kept an eye on a stream of real-time flight data received from the PC-24. Had the need arisen, these experts could have given the pilots crucial decision-making information: another means of ensuring the safest possible conditions for the entire maiden flight. In recent months, the PC-24 handling characteristics had been trialled and refined during numerous tests using simulators and models placed in a wind tunnel. As part of the development team, our two pilots were involved in these tests; their role during the maiden flight was to verify the accuracy of the theoretical assumptions. Airbus Group has been present in Poland since 2001 and currently employs over 900 Polish citizens in Warsaw, Mielec and Radom, in production, aviation services and aerospace design areas. The facility of PZL Okecie, which is the oldest Polish aerospace company (est.1928) is our first industrial footprint and a success story of organic growth based on partnership. Over the last four years the turnover of PZL Okecie has tripled and the employment has grown by 60%. 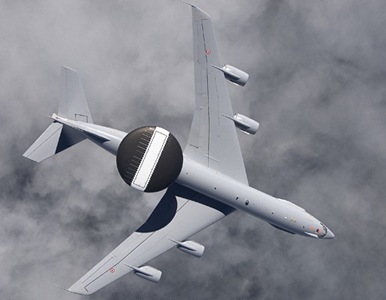 Photo � BoeingInitial operating capability (IOC) of the modernized French Airborne Warning and Control System (AWACS) fleet has been achieved with Boeing's [NYSE: BA] delivery of the second of four upgraded aircraft and completion of the operational tests and evaluations. The upgrade is part of a Foreign Military Sale between the French Defence Procurement and Technology Agency (Direction g�n�rale de l'armement - DGA) and the U.S. government. "With the declaration of IOC, the French Air Force is able to utilize the new capabilities of the Mid-life Upgrade to protect our national and international interests. This improvement will contribute to maintaining high operational performance and reinforce interoperability capability for at least the next twenty years," said Lieutenant-Colonel Olivier Duplessy, French Air Force AWACS Program Officer. France has four AWACS to monitor national airspace, national interests, and support allied missions. The aircraft are receiving modifications through a Mid-life Upgrade (MLU) to increase the fleet's surveillance, communications and battle management capabilities. AWACS crew members will experience reduced workload, receive more actionable information and have better situational awareness thanks to these enhancements. "The exemplary teamwork between Boeing and Air France Industries was key in delivering the first two upgraded AWACS on schedule," said Yves Galland, president Boeing France. 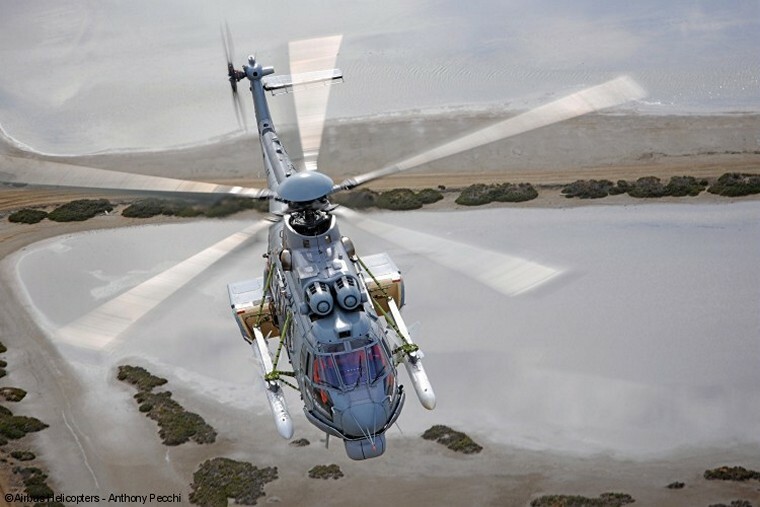 "We're looking forward to pursue our successful partnership with Air France Industries to deliver the last two aircraft on time and meet the French Air Force requirements on this strategic program."